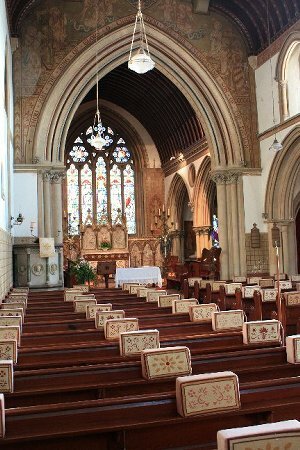 The Parish Church of All Saints, Nocton is the home of the Church of England in the Lincolnshire village of Nocton. We are a traditional rural parish, where worship presently revolves around the Sacraments and the Eucharist. Common Worship is used throughout all services. We are a small but friendly congregation with services in Nocton on the 2nd and 4th Sundays and at Potterhanworth, our neighbouring village, on the 1st and 3rd Sundays of each month, all at 9.30 am. We also have Morning Prayer in Nocton every Wednesday morning at 8.45 am and in Potterhanworth every Friday. All visitors are most welcome so please feel free to join us! Tea and coffee are available free of charge after the service. contact one of the churchwardens. A key is also available from Hawthorn House, Main Street and from Nutwood, School Lane. Nocton is approximately 8 miles south east of Lincoln, just off the B1188. Coming from the north on the B1188 take the second turning left for Nocton; from the south take the first turning right. At the Post Office, don't follow Main Street round to the left but go straight on into School Road. The church is at the far end.